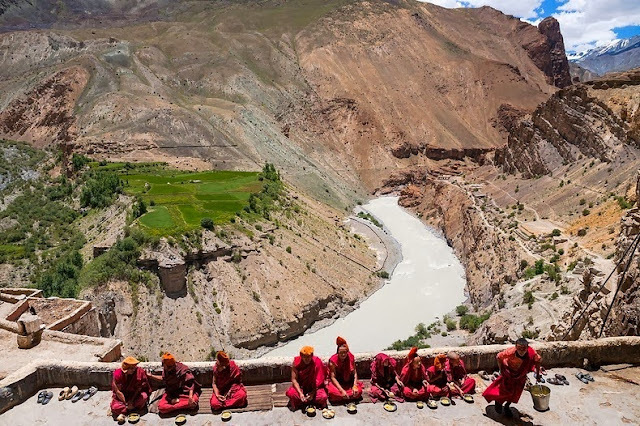 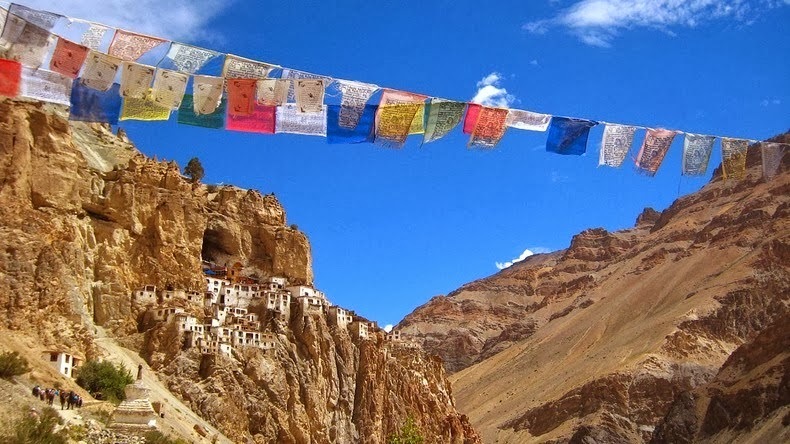 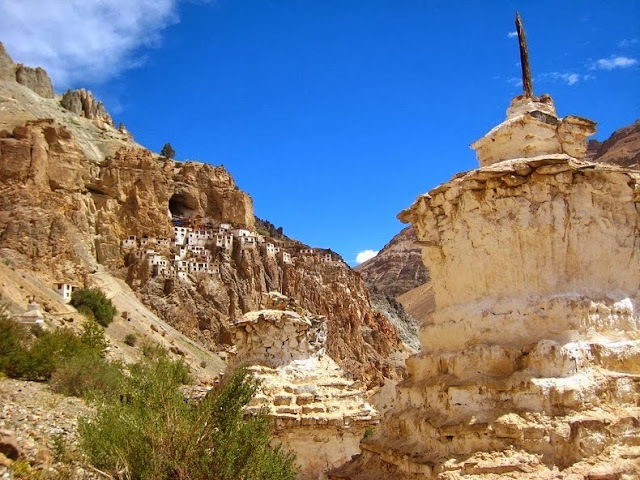 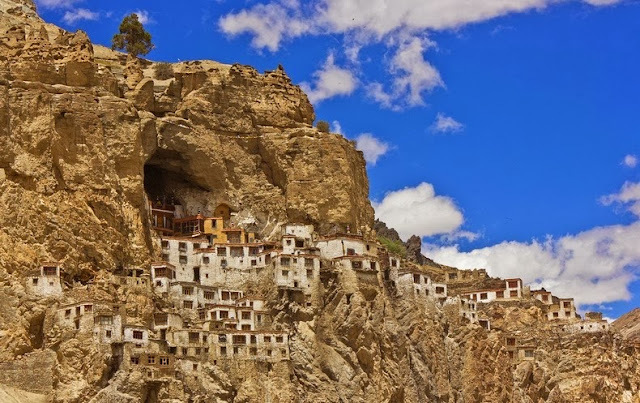 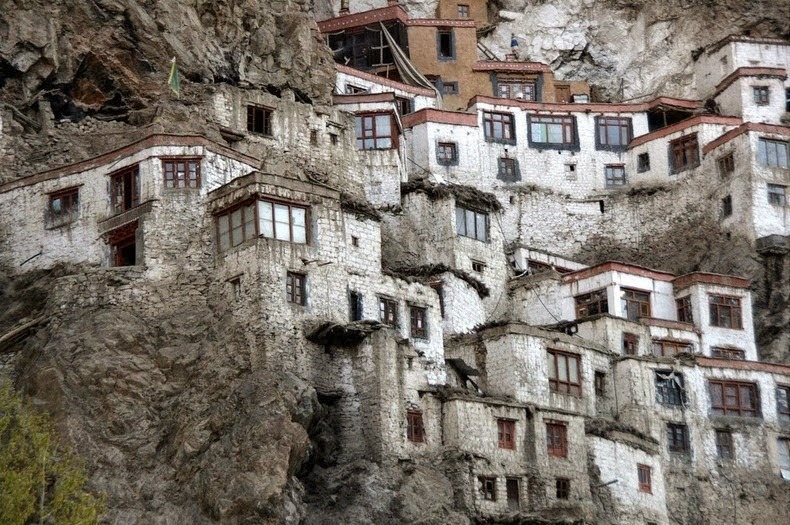 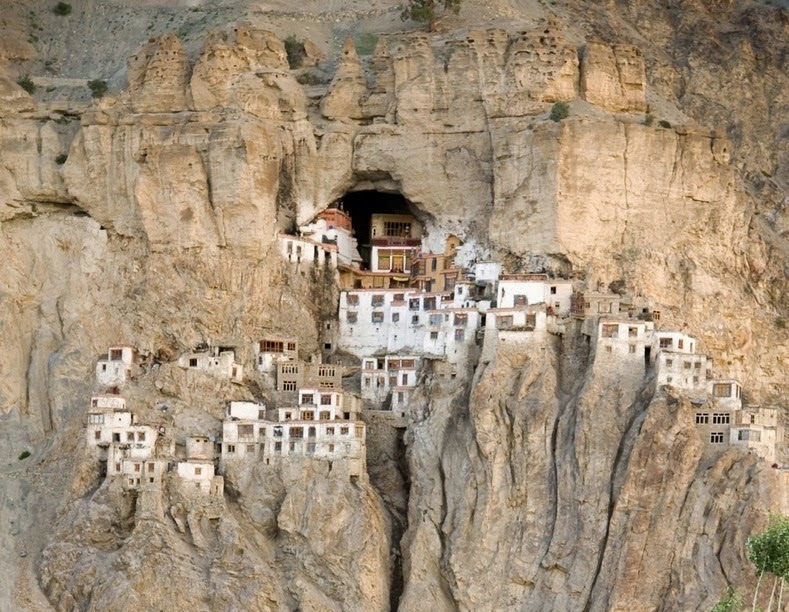 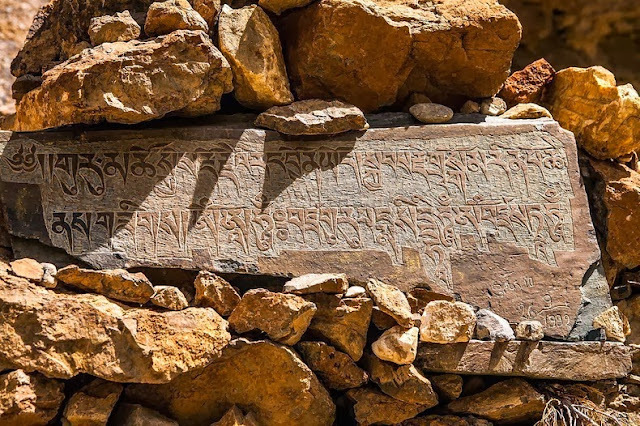 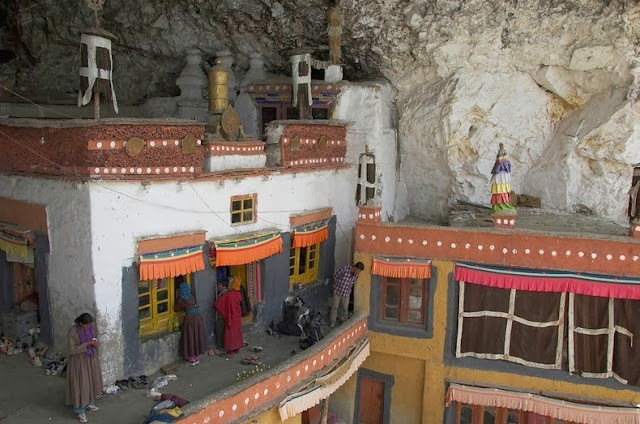 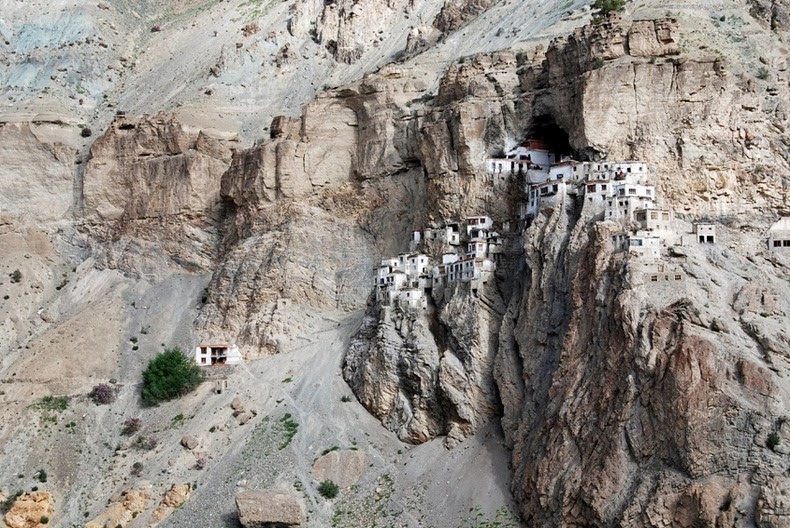 Phuktal Monastery or Phuktal Gompa is one of the most isolated monastery in the south-eastern Zanskar region in Ladakh district of Jammu and Kashmir in northern India. 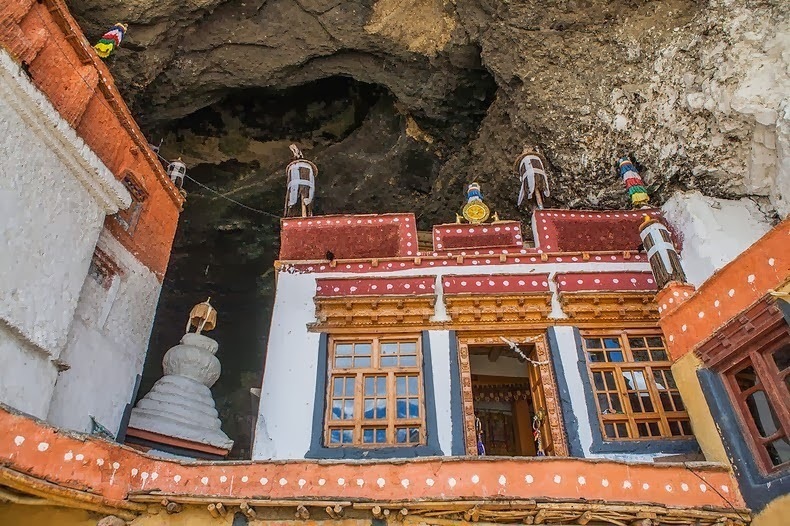 The monastery is a unique construction of mud and timber built at the entrance of a natural cave on the cliff face of a lateral gorge of a major tributary of the Lungnak (Lingti-Tsarap) River. 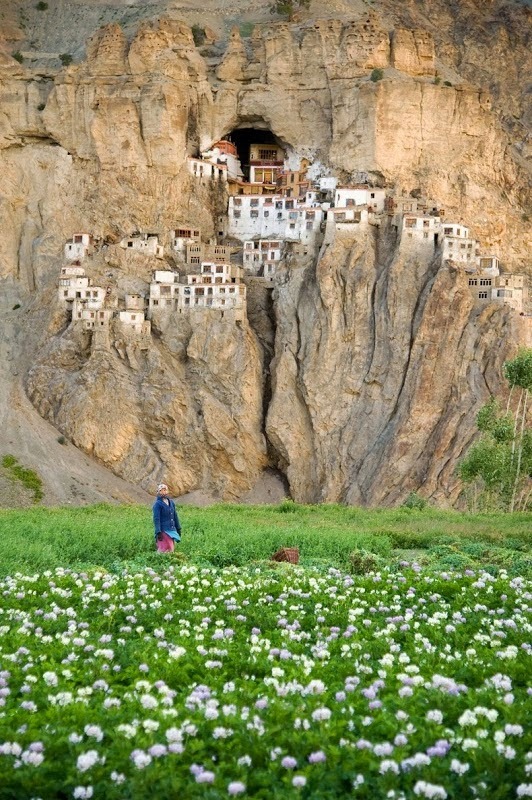 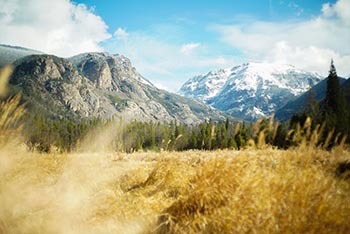 From a distance, the monastery looks like a giant honeycomb. 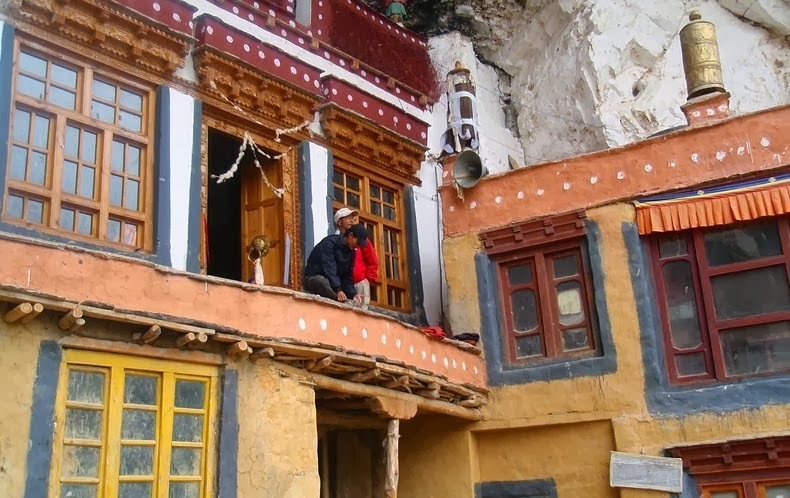 Phuktal Gompa was founded in the early 12th century by Gangsem Sherap Sampo, a disciple of Gelug founderTsongkhapa. Although the monastery was constructed in 12th century, it was hidden treasure for many until Hungaraian Alexander Cosmo de Koros visited the place and stayed between the periods of 1826-27.